Book 4 Cover — Complete! Through stresses untold and crashes unnumbered, we have fought our way here to the print cover– Ahem. In the context of the Imperial tarot deck, this is the King of Gems (aka Darkness), usually pictured with the Shadow Lord in the center (as always conflating him with the Dark, because that’s what the Empire does) and two Shadow Folk ‘minions’ beside him. The Imperial deck designates it as a card of enticement or hoarding, with a reversed meaning of emergence from entrancement. It’s probably safe to say that the Shadow Folk’s opinion on the card’s meaning is flipped. While the Shadow Lord is present in this card, it’s only baaaaarely, and his is not an active role — he’s just overseeing what the major characters have gotten into by themselves. Why these characters? Why not follow Cob’s cards, like in the text? Well, I didn’t follow them for the B3 cover either, because the story is about more than just Cob (even if he’s the center). The others are vital players too. Note the Ravager and the Thorn Protector from the earlier cards/books sort of lurking in the background. And finally, the print cover! 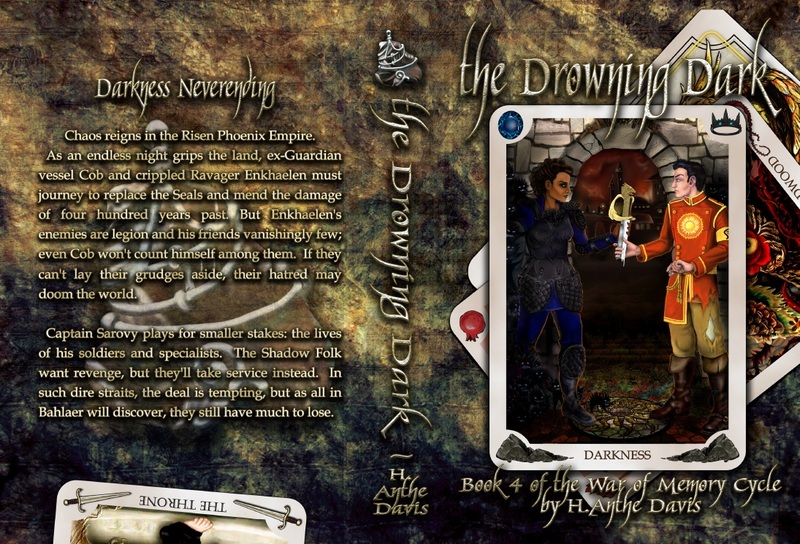 Note the Throne card from Book 3 falling off the back cover. That’s my favorite part of this layout. Byebye! 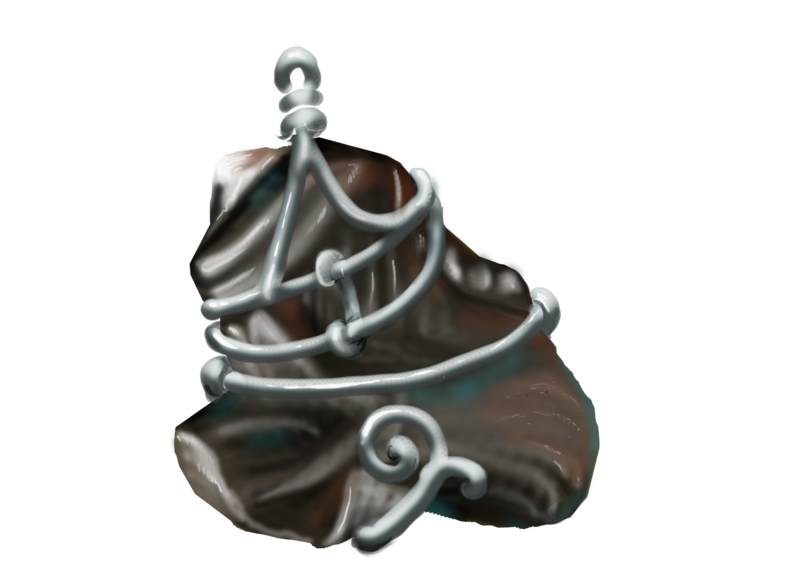 The spine icon/back image is an eiyetakri — one of the shiny slag-glass-and-wire trinkets the Shadow Folk make for the eiyets to distract/summon/entertain them. You can see one in Sarovy’s hand if you look closely enough. I am currently awaiting the arrival of the print proof and putting the finishing touches on the Omega Update of the earlier books. Expect Book 4 within the week! This entry was posted in Art, Writing and tagged cover art, publishing. Bookmark the permalink.